Tiendesitas has been pretty much a niche place for shoppers. But it’s also becoming a fast favorite when it comes to food trips. 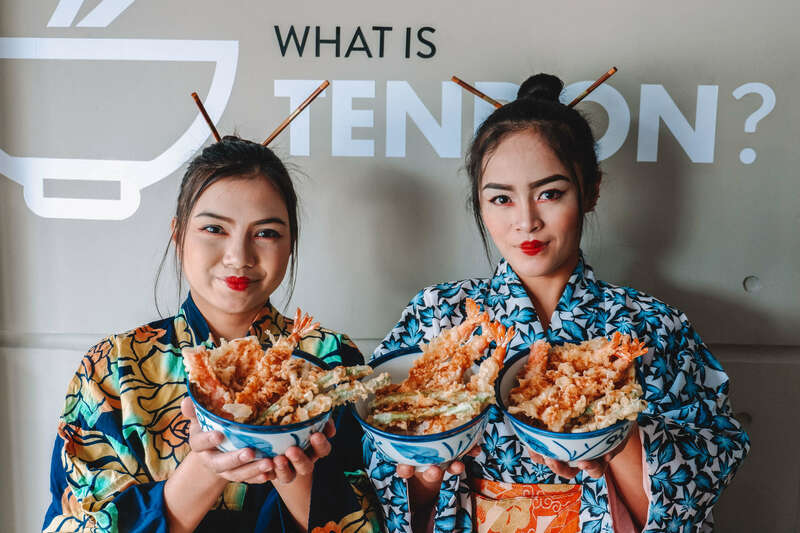 Now that Tenya has opened its 9th branch within its premises, more people will surely be flocking here to have a taste of authentic Japanese food! Tenya is no flimsy imitation. 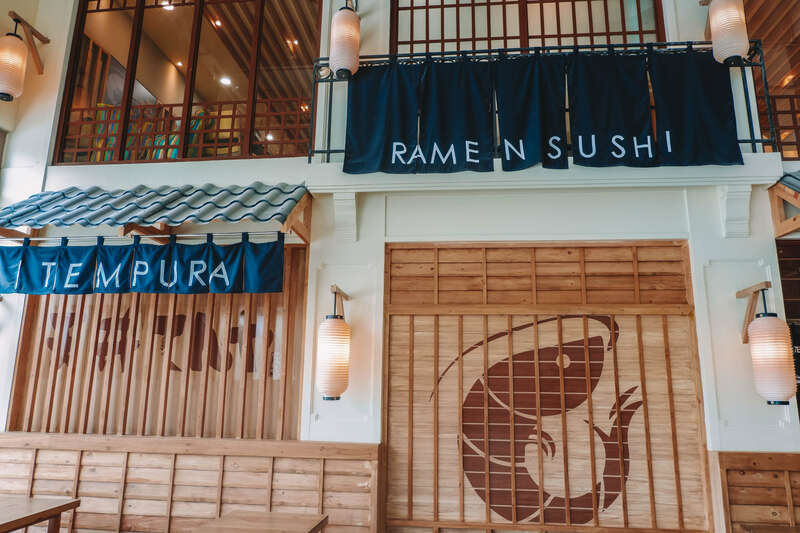 It doesn’t just serve Japanese food, it’s in itself a Japanese food chain that made its way to the Philippines. Now more accessible through Tiendesitas’ Building B (largely because it’s just a stone’s throw from where I live), we and the gang said “yes” in a jiffy as we were invited to Tenya’s opening. I mean, Tina has always loved tempura and I always loved sushi and soba, so why not? It was my first time to try Tenya, and I didn’t even have to wait to be seated before being impressed. Their Japanese-styled facade is pretty awe-inspiring! The decors are also unmistakably Japanese, adding to the prestigious and authentic ambience. There’s even a batch of clocks on the wall, whose time zones are set to the different cities where Tenya has its branches. The interior is brown wood and a pastel shade of gray, but it is by no means monotonous. 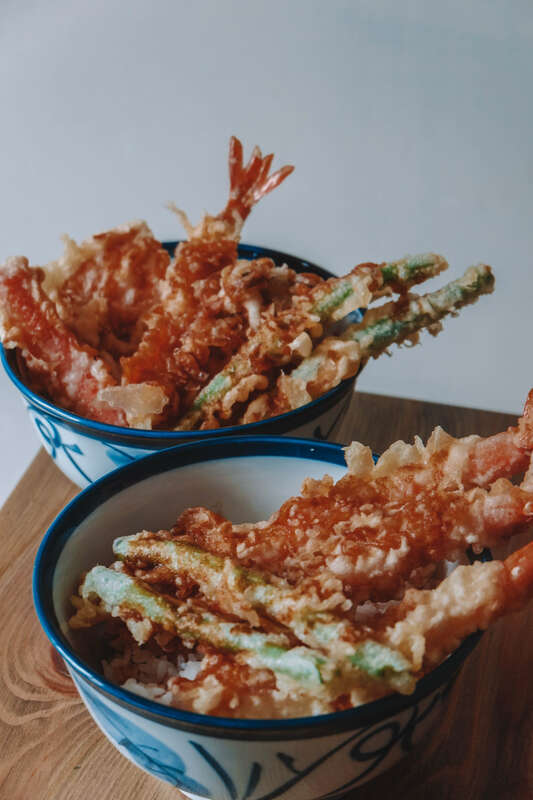 I first tried our their All-Star Tempura Basket (PHP 435). It was a real delight to have a choice of different tempuras, comparing and contrasting them and finding my favorite! There’s squid, salmon, kani stick, and of course the specially-raised black tiger prawn. 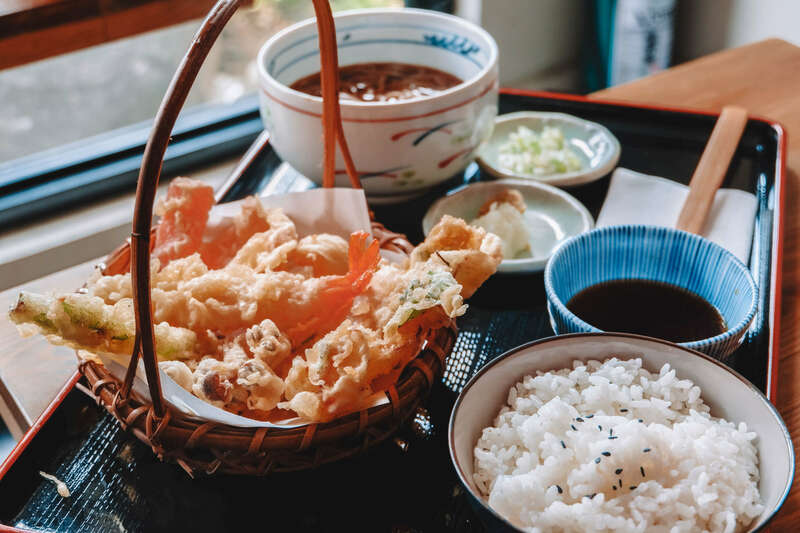 I heard they also used a special flour to coat the tempura, and that everything is fried using a high-tech infrared heat powered air fryer. Everything tasted delicious, even the green beans and mushroom! So I guess I just had to decide that the whole basket was my favorite! The set came with cold soba as well. 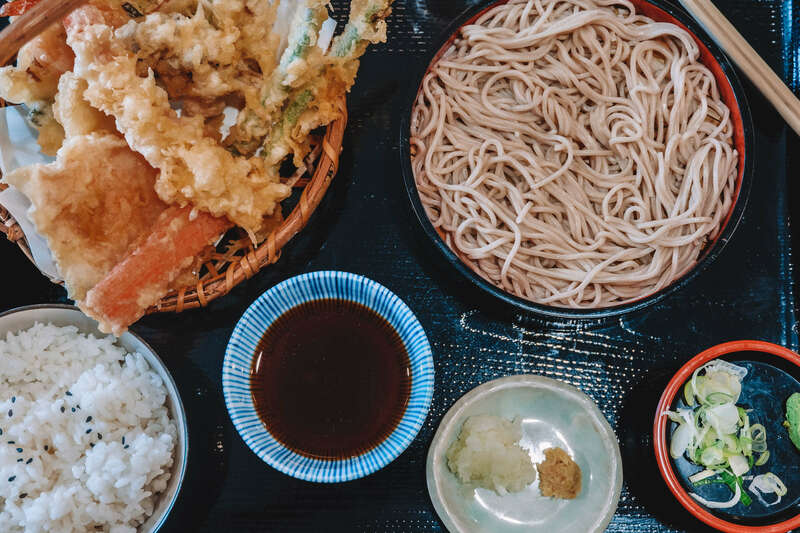 Raina had the same thing, though she swapped hers for hot soba. It was just as good (authentic soba is good, in whatever form) but I am still leaning towards my cold soba right now. Harvard went up a notch and ordered the Asakusa Special Tendon, which was black tiger prawns with Dontare sauce. It was served with rice, and was the perfect blend between sophisticated flavors and a Pinoy-style filling meal. Chel had the Jo Tendon, which threw in some kani sticks, green beans, eggplant, and sweet potato into the mix. Despite us already having soup, we also decided to order some miso soup. 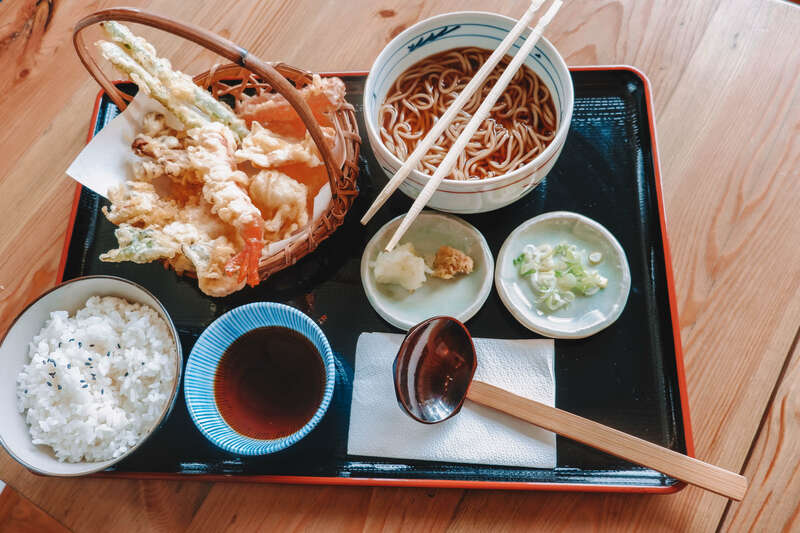 Because what good is a Japanese meal without this traditional soup? It was delicious and heartwarming, and it added to our already filled-up tray. Of course, there are drinks and desserts! I tried the salted lime drink. I found it too sour, and I didn’t taste the salt much. Tina would have enjoyed it more, I think. As sour drinks and I don’t mix. I just found it interesting, so I tried it. For dessert, there’s the Ningyo-Yaki Sundae (PHP 125). It was cute and Instagrammable, and delicious to boot! 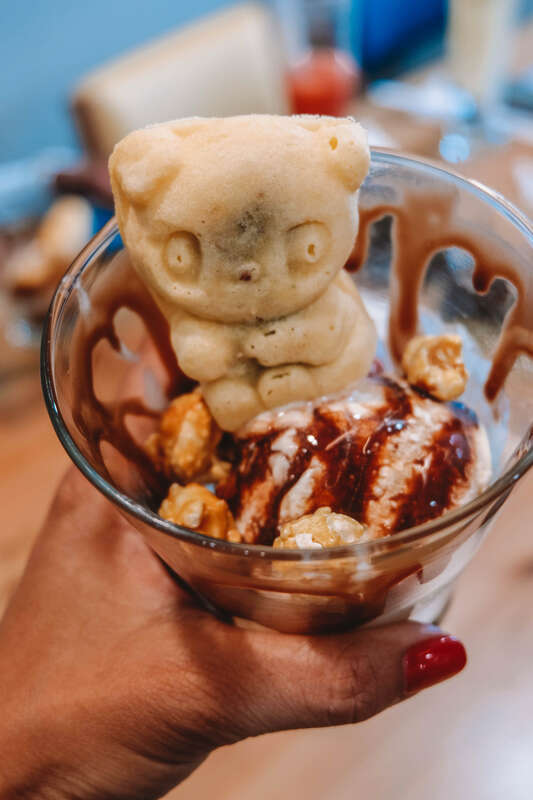 I just wished the teddy bear was more moist, though it did work well with the ice cream. 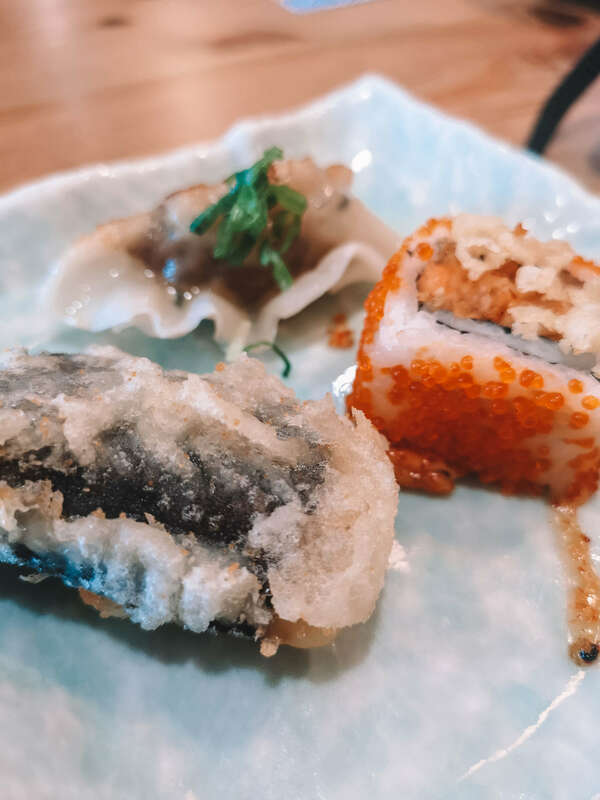 As for the appetizers, we had a sampler plate with Isobe Cheese, Gyoza, and Sriracha Tempura Maki. The cheese was my personal favorite, and I loved it so much! Harvard was kind enough to give me his share, because I just can’t get enough. 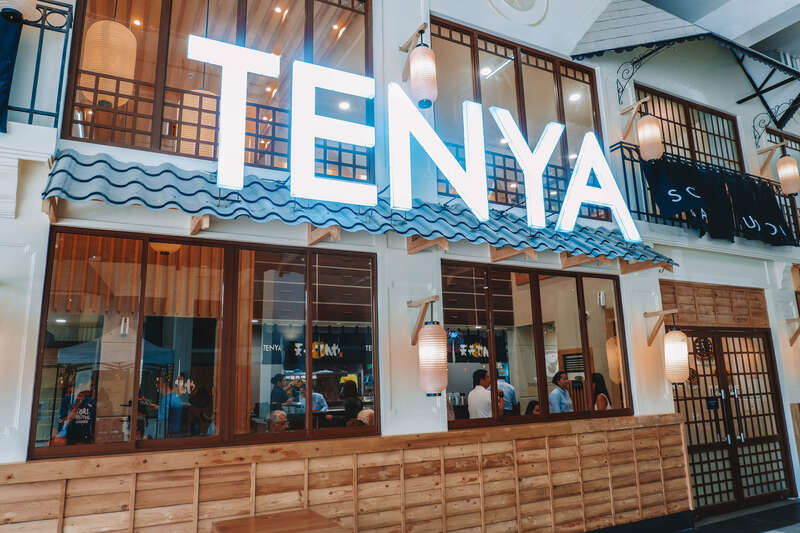 If you’re ever heading up this side of Ortigas, treat yourself to some awesome Oriental flavors at Tenya in Tiendesitas. In case you’re nearer to Mandaluyong, they also have a branch at the 4th Floor of SM Megamall’s Building A. Itadakimasu!